This orchard has a store associated with it that operates year round. 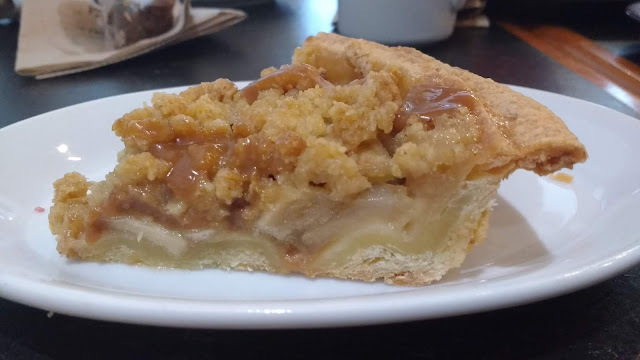 When I was there, in March, they did not have a tasting room, so I had to buy an entire tart so that I could taste it at home. 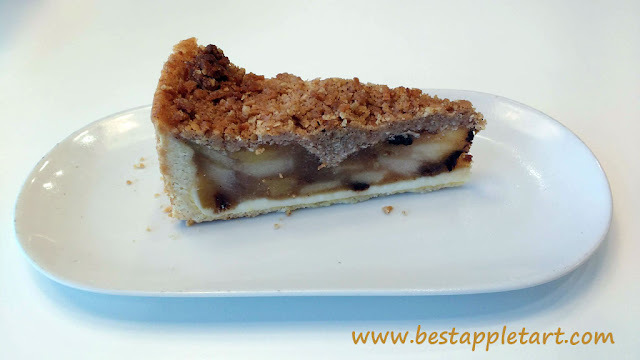 I chose the "tarte aux pommes paysanne" (farmer's apple pie) which has a crumble topping. 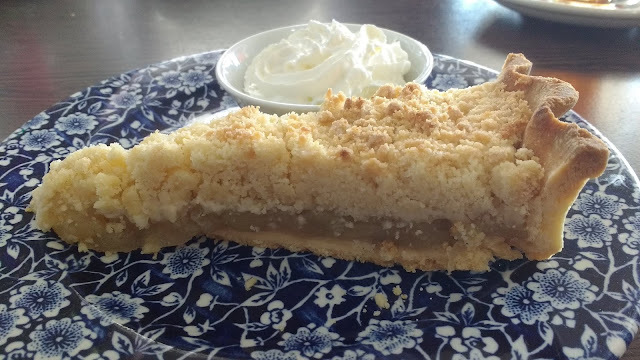 They also make a traditional double-crusted pie, as well as other sweet and savory pies. And apple jelly, apple butter and jams from various local berries. But I digress. 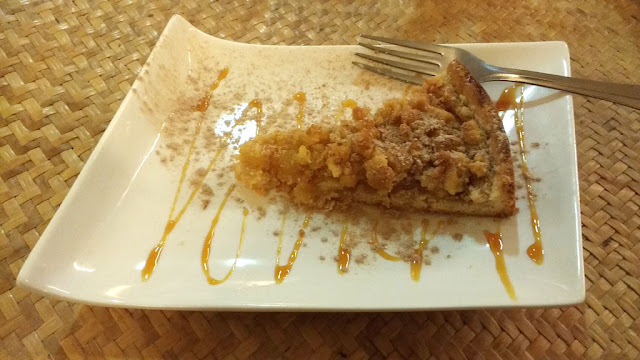 I really liked this apple tart. 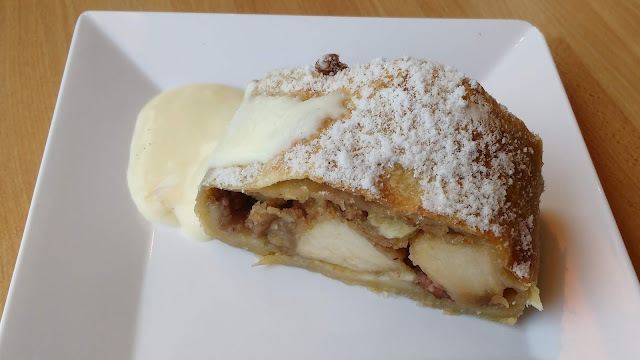 The filling consists of thinly sliced apple with cinnamon. No gelatin. 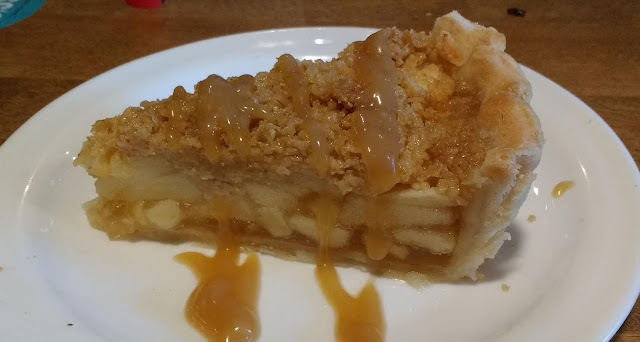 Not too sweet and the cinnamon taste is not overpowering. 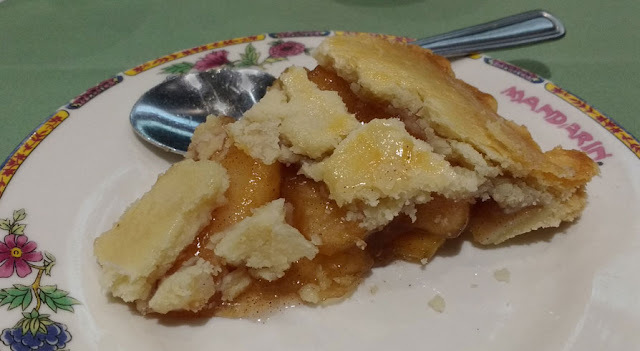 As Portuguese as apple tart?